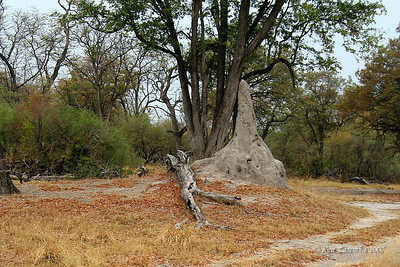 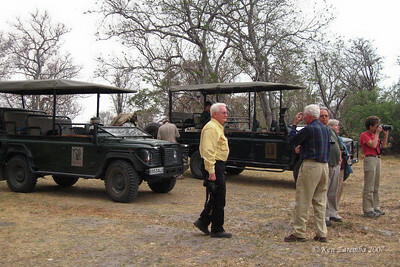 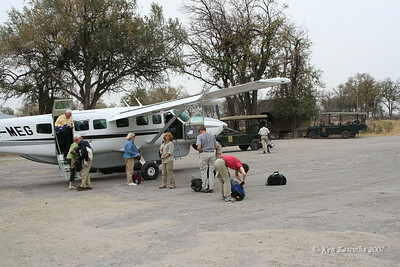 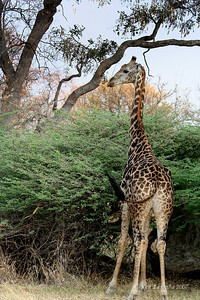 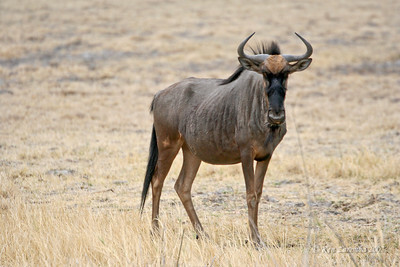 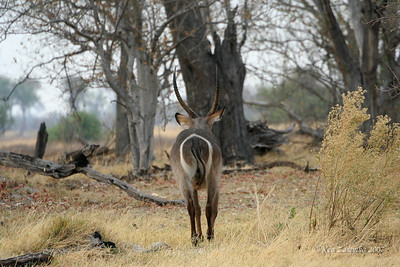 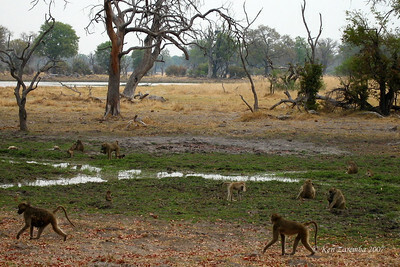 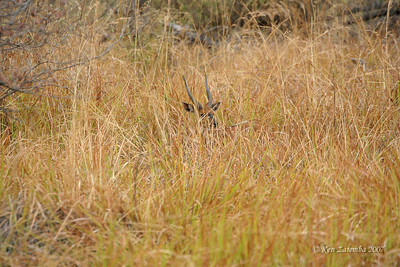 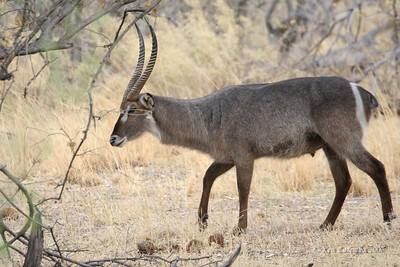 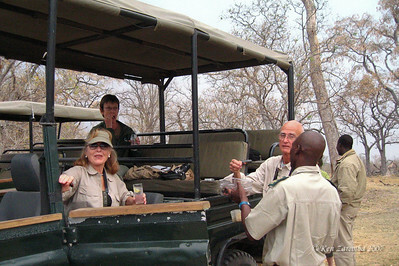 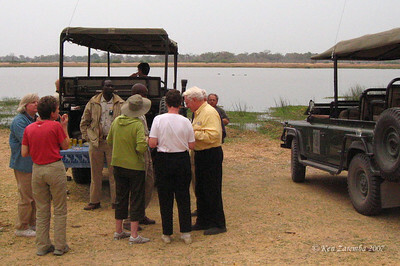 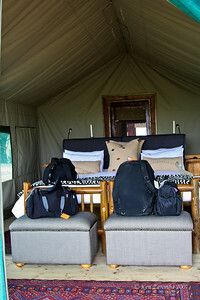 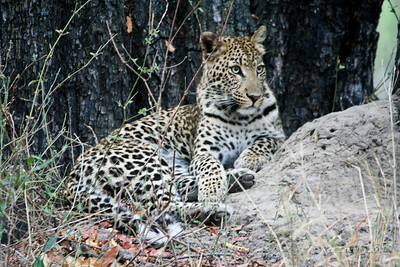 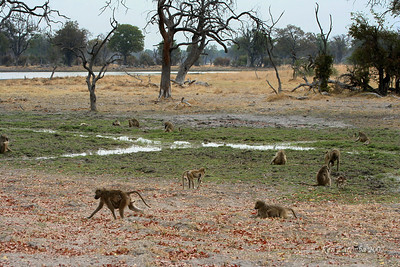 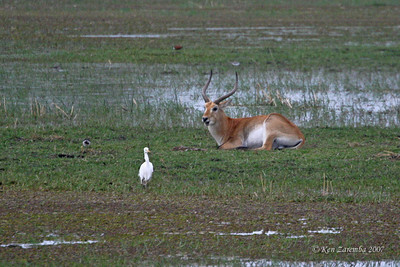 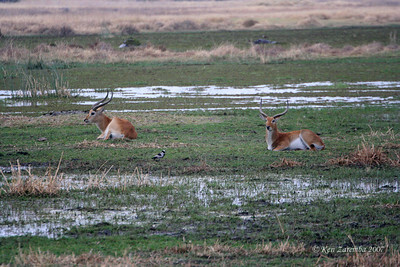 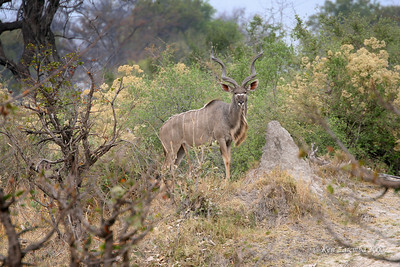 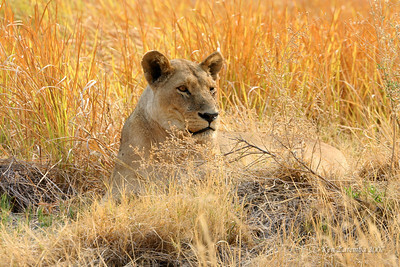 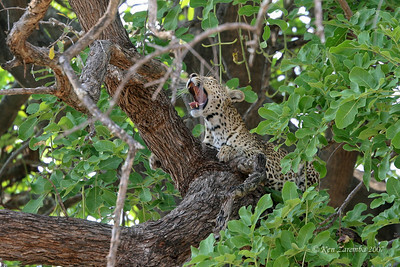 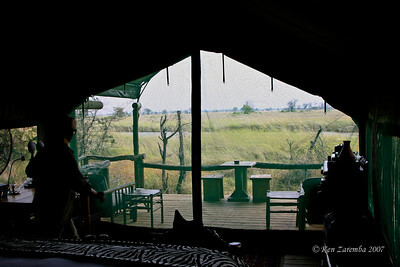 Xakanaxa Safari Camp in Moremi National Park in the Okavango Delta of Botswana. 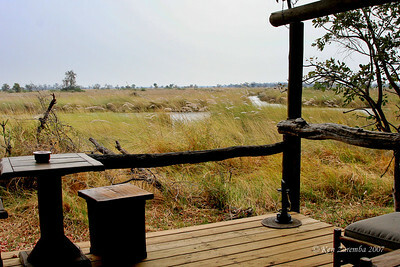 View of the Okavango Delta and Moremi Game reserve from our Xanakaxa camp tented site. 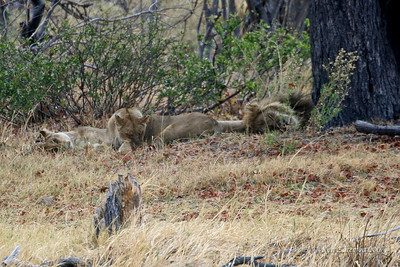 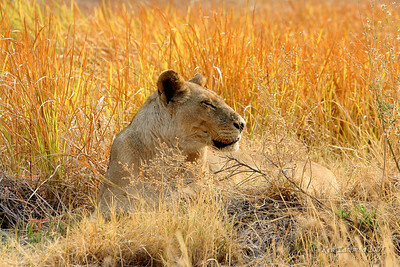 Two female llions and a male lion asleep under a tree. 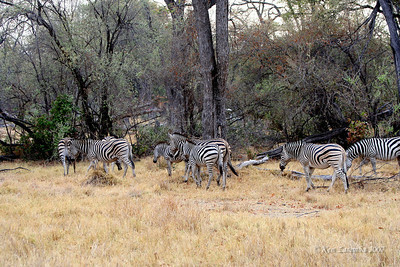 A sign that they have recently been well fed.